I am declaring a moratorium on red walls! Nearly forever in the realm of Real Estate has the Red Accent Wall been the darling of would-be decorators and home owners that desire a little extra spice in their interiors. 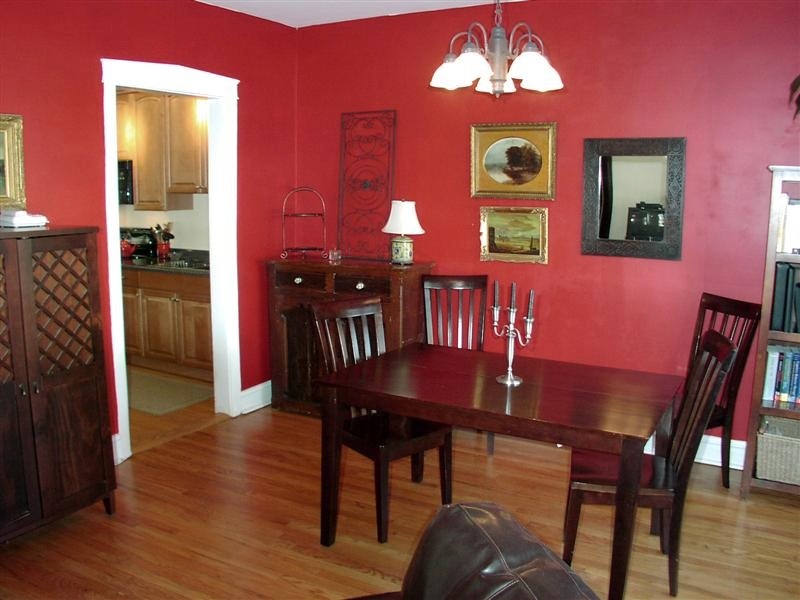 Your Guru is officially declaring the era of the Red Dining Room and/or Red Powder Room over. At least when it comes time to sell. Though the pop of color could be interpreted to “add some character” all too often it’s the wrong kind. Red isn’t everyone’s cup of tea. And it is VERY hard to cover up – or at least buyers perceive it as a challenge to cover up. Invariably, these red rooms get passed on from homeowner to homeowner because no one has the courage or tenacity to apply layer upon layer of KILZ primer to undo the dastardly deed. Let’s all agree: Henceforth for a pop of color, we will add it with throw pillows, an accent blanket and a vase of roses!